Brake Fluid and Nano Lube = Clock Repair Magic! Hi, I am new to this form (or any form for that matter) but I thought my recent experience might be helpful to someone. I have a Howard Miller Grandfather Clock which I bought new in 1981. It was serviced and oiled professionally in 1992. No other service of any kind has been performed since (yes I know that is not proper way to take care of a clock). It has a - UW03049B -Urgos Movement. A couple of weeks ago it stopped ticking and despite my efforts to re-balance and level the clock (I live in California where there was an earthquake recently) it would only tick for a few minutes and then stop. Please keep in mind as I described the following I am not a clock person of any kind, I don't know the names of parts, the terminology or the proper phraseology, so please excuse me. I called the local clock repair shop. The owner is knowledgeable (at least I thought so) and he repaired my cuckoo clock for me in the past. He charged me $50.00 for a service call, came to my house, looked at the clock and within in seconds of inspection said the movement was defective and had to be replaced. This is because the Duma-hickey that connects to the whatch-a-ma-call-it was a very poor design. There was also a lot of metal on metal wear, he said. He went on to say that the movement could not be saved and I had to buy a new movement which would be $1000 plus $200 in labor, he then paused and said that's if I do it today, because prices are going up! Fortunately for me I do not yield to such sales tactics. So I told him no, paid him the $50.00 and as soon as he left went on the Internet. The first thing I found was I could get a new movement for about $704. Also according to the factory, that movement had a life expectancy of about 20 years. Given that without proper maintenance it had lasted for over 30 years I didn't feel there was anything defective about the movement. So I figured at this point my movement was trashed and I had nothing to lose in trying to fix it myself. movement" and below is the answer that I found"
"Take the movement out of the case. Take it outdoors and wash it down thoroughly with a spray can of brake cleaner from the auto store, spraying it into all the crevices. Dig out around the pivots with a sharpened toothpick, to remove as much crud as possible. Dip an old toothbrush in Coleman fuel and scrub down everything you can reach. Don't dunk it. Let it dry. Put a toothpick-dab of light oil on each of the pivots and nowhere else. Drip a few drops into each of the mainspring barrels." I thought this sounded too easy and could it possibly work? I knew how brake fluid cleaner worked and could find no flaw in the logic so I thought, why not try! After all, in my mind, the movement was already trash anyway. So I followed the directions as stated above and was amazed by the amount of gunk and junk I was able to remove from the movement. Now, with all the oil and gunk removed I had to figure out the best way to get the movement re-oiled. Remembering what clock man said about the metal on mental wear your regular lightweight oil may not be sufficient. So back again I went to the Internet and discovered something called " Nonolube". According to the advertisements by the various companies Nonolube was more than just an oil. Somehow it had microscopic diamond ball bearings (don't shoot the messenger I'm just stating what I read) that helped metal on metal friction be greatly reduced. Price for a bottle of this magic potion was $16.00 and I figured "What the heck", so I got it. The day it arrived I again when back to the Internet and looked up "how to oil a clock movement" (and have I told you how much I love You-Tube?). Following the instructions I applied the Nonolube in all the recommended locations. With all of that accomplished I reassembled the grandfather clock. "Holy mother of God, weapons of mass destruction, it work"! It is working to this day and keeping perfect time. I'm writing this post so that it may give some other person the confidence to try this cleaning and oiling approach before giving up on the movement. My total investment was about $26.00 and 3 hours of time. Comments for Brake Fluid and Nano Lube = Clock Repair Magic! I appreciate your post. Its real funny, I bought some "clock cleaner" in a spray can from a company on the internet because I was not set up to do a whole movement vat dip. It worked great but was expensive with shipping and all and I got a buzz off it when I used it. I was thinking while I was using it and looking at the ingredients 'this is just like brake cleaner' just a little stronger, but I thought hey why can't I just use brake cleaner? So I did a Google search and low and behold I ran into your post. Thanks for answering my question. It is a lot easier and cheaper to go over to the auto parts store and pick up a can of brake cleaner every time I need to clean and oil my clocks. And for those people paranoid about the chemistry of brake cleaner I wouldn't worry about it. You might have to use a little more (a few more applications of the brake cleaner if its really gunked up bad) but I think it is a little milder than the 'clock cleaner' I used and it probably won't give you as much of a buzz and work just as well. However, I do suggest you use it in a well ventilated area. There is nothing unsafe about brake cleaner. Mechanics use it on a daily basis to clean automotive parts and they are not dropping dead on the job from the chemicals. Using it in a well ventilated space (i.e. outdoors) for one project is not going to make you die of cancer at 35. So You Don't believe the story... well, I'm the guy who did it. so I would like to address your issues point by point. First: the issue of break cleaner, Yes like many chemicals if used improperly it can be dangerous. But given it is a product that can be bought anywhere from Autozone to Walmart(Spray Paint is more restricted) it is relatively safe if used as directed. In my case I took the clock mechanism outside hung it on a metal coat hanger from the drycleaners, put on safety goggles and went at it. Fumes were therefore no an issue. Second: the break cleaner was not my unique idea. I got that part of the process from this web site originally. That's why I posted the results here. Third: It was the result of a "Clock Professional" trying to extract a large sum of money from me that lead me to this site and part of the possible fix. Forth: NO, you don't use Nano Lube for brain Surgery nore do you use blood plasma transfusions for clock repair. (That was not ever suggested)! Fifth: As to a corporate shill letter I'll be glad to email or phone you directly. And now an update for everyone else. I forget exactly when I wrote the original article (2012 I think). As of today for years later the clock (which was hopelessly unrepairable according to the "Clock Professional") is still working and keeping perfect time. I am an Inventor and according to the Smithsonian where one of my inventions reside I am a pretty good one. As an inventor I am always amazed when people hear about something that is a paradigm shift from what they know and understand the at first tend to reject it. Arthur Schopenhauer, German philosopher (1788 – 1860) said "All truth passes through three stages. First, it is ridiculed. Second, it is violently opposed. Third, it is accepted as being self-evident." I think this is what we are going through here. Two points, Chemicals like brake cleaner are dangerous to use unless you know what your doing, It is a free country so knock yourself out with those poisonous fumes, however why are you suggesting that other people put their life in danger using unsafe to breather chemicals? You begrudge a clock professional from making a living, do you do your brain surgery with Nano Lube? Your article sound more like a corporate shill letter for a brand name product called Nano Lube, than a believable story. 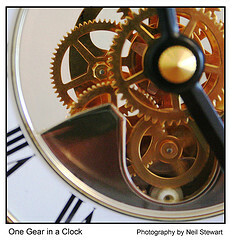 Did you have your clock oiled every five years like you should if you want it to last?